3D printed medical applications are slowly invading hospitals all over the globe, a remarkable number of Chinese hospitals, surgeons and research institutes are quickly adopting this fantastic technology. Just last week, we saw how an old Chinese man successfully recovered from a dangerous surgery with the help of 3D printing, but now an even more technological innovation has appeared in China. Yesterday, scientists from the Guangzhou Nansha Additive Manufacturing Technology Research Institute have unveiled a new SLA 3D printing technique that can be used to create detailed porcelain (and other ceramic) objects quickly. The research team over at the Nansha Additive Manufacturing Technology Research Institute in Guangzhou spent over a year developing this new 3D printer, and is currently in the debugging stage. While the unveiling is expected to take place in the very near future, it has already been leaked to reporters that the 3D printing speed is several times faster than comparable machines, while this 3D printer is also capable of working with a very large variety of materials, including ceramics, metal filler materials and more. 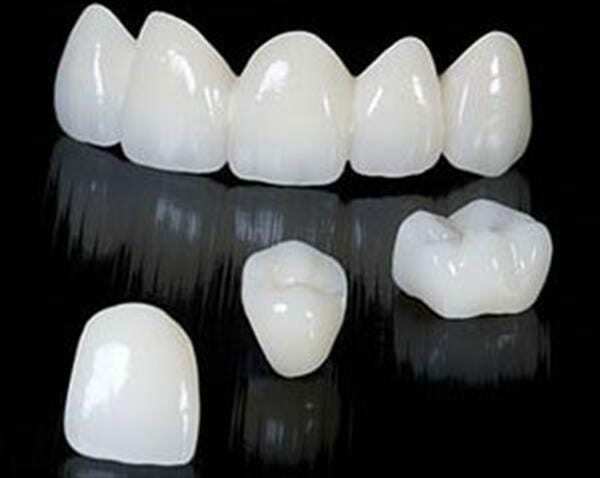 Among its possible applications is a the fantastic medical solution of 3D printed porcelain teeth. According to Xu, traditional SLA 3D printing process comes with three issues. Firstly, the material has high liquidity requirements, and can therefore only be made with a thin material, such as resin and plastic. This means abandoning high viscosity materials. Secondly, the workpiece after forming needs to be scraped – something that requires strong and accurate supports to fix the part, which needs to be subsequently and affects the piece (damaging the surface and so on). This obviously also costs material. And finally, the slow 3D printing speed forms a major bottleneck on the usefulness of SLA 3D printing. Especially the material spreading process takes up to 10 seconds – meaning that the 3D printing of a small object (with thousands of layers, sometimes up to 100,000) takes a very long time. Xu Xiaoshu argues that their brand new SLA 3D printer will solve all three problems. Firstly, they have made a breakthrough in materials that can be used through high pressure extrusion. This increases the viable viscosity range about five or six times, paving the way for a large number of available materials. Think about ceramics, biomaterials, metal composites and more. Secondly, due to the use of highly viscous materials the processes of extrusion and formation are separated and there is therefore less need for support materials. Not only does this simplify production and post-print processing, it also reduces costs by about 10 to 20 percent. And thirdly, this also greatly speeds up the 3D printing process in its entirety. Layer extrusion on their upcoming 3D printer takes only a second per layer – cutting the extrusion time down by up to 90 percent. And as layering itself takes up half of the entire printing process, the overall 3D printing speed almost doubles.